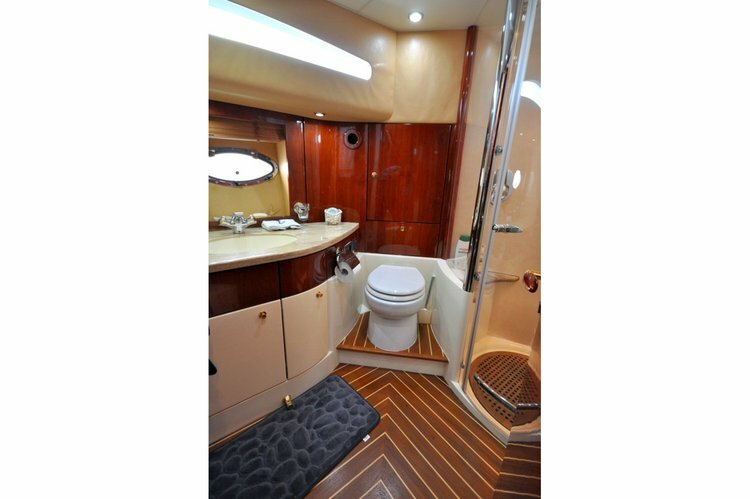 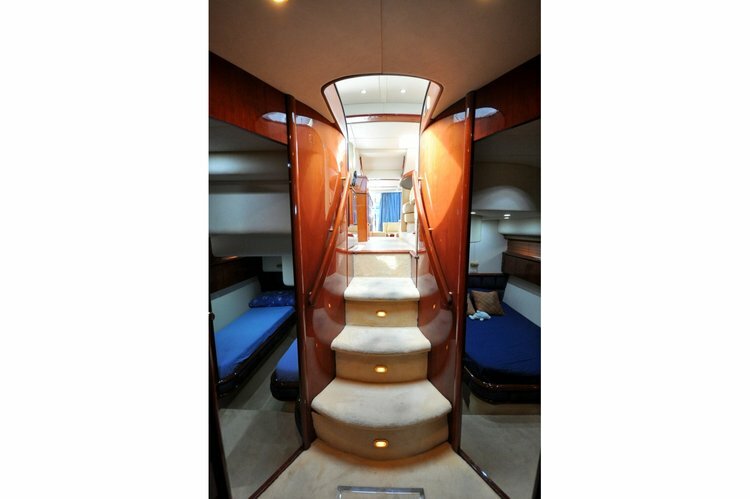 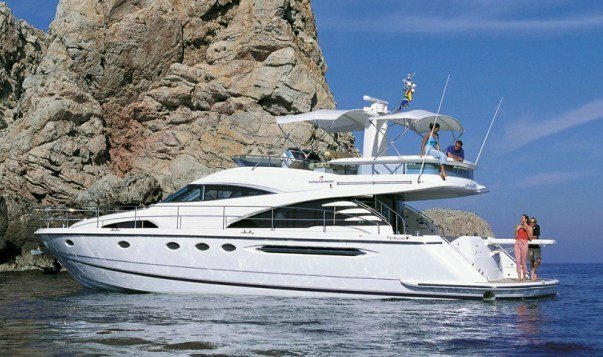 The Fairline Squadron 58 offers fantastic space both ondeck and below. 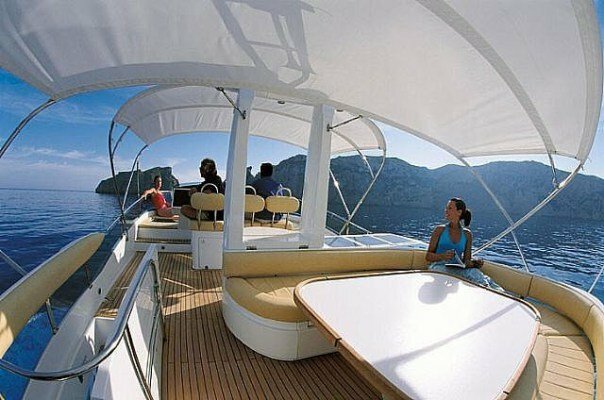 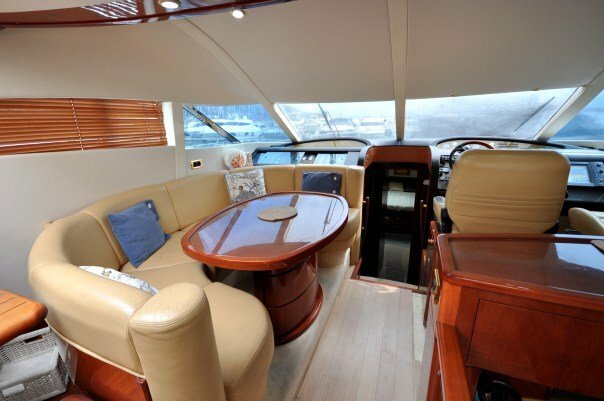 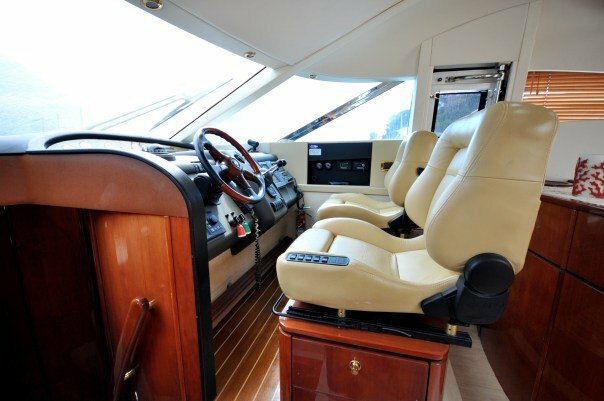 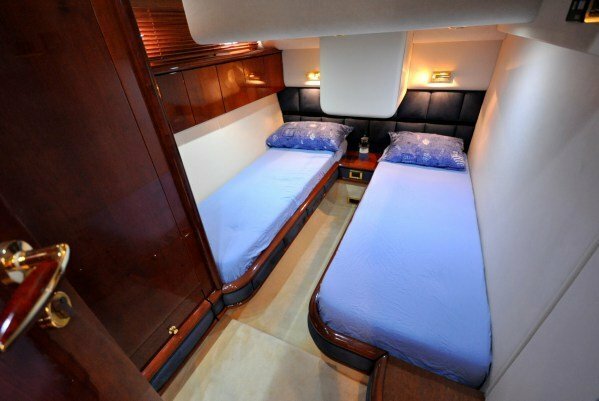 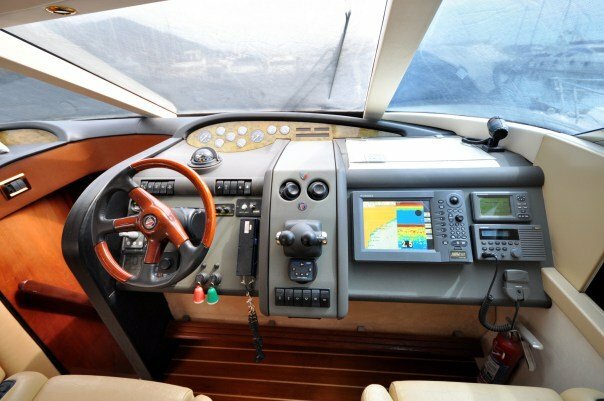 There is a table and seating on both the flybridge and aft deck, and there is also a large sunpad on the foredeck. 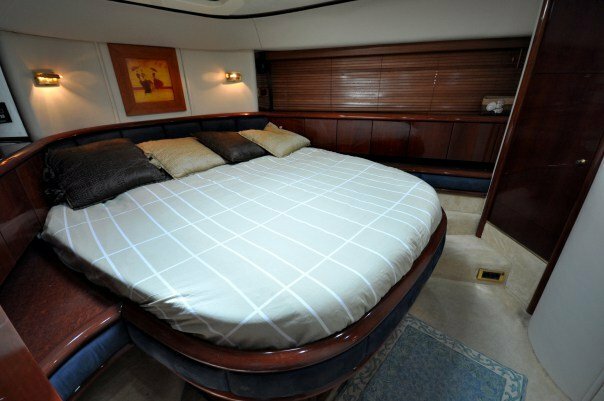 This yacht offers 5 double cabins, one king sized bed, one VIP that can be converted into a king, and three other staterooms, with three heads. 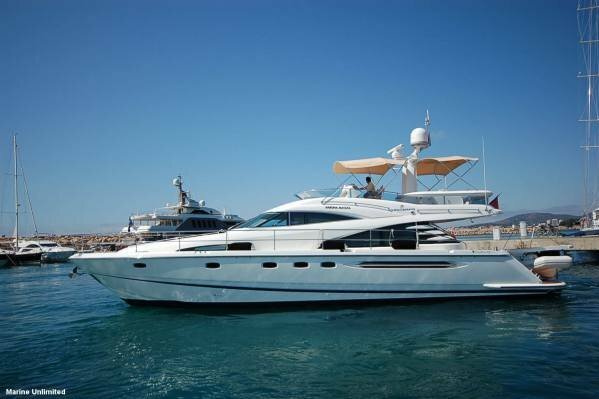 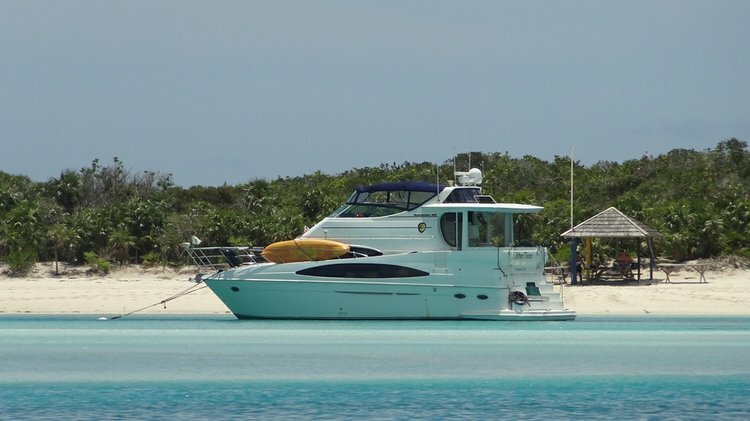 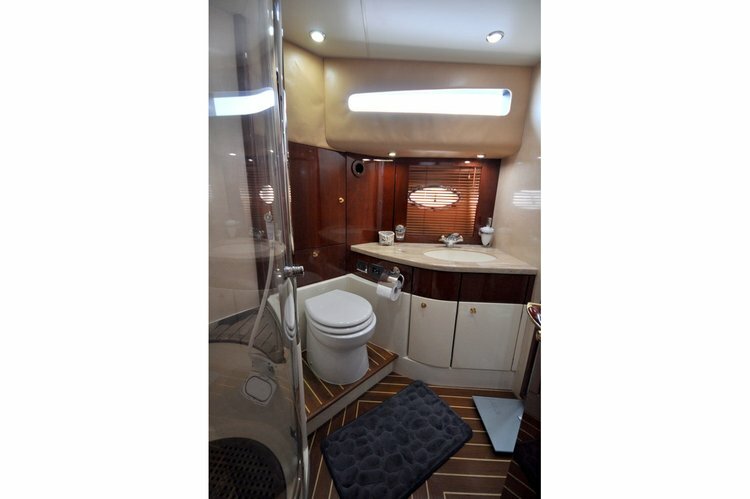 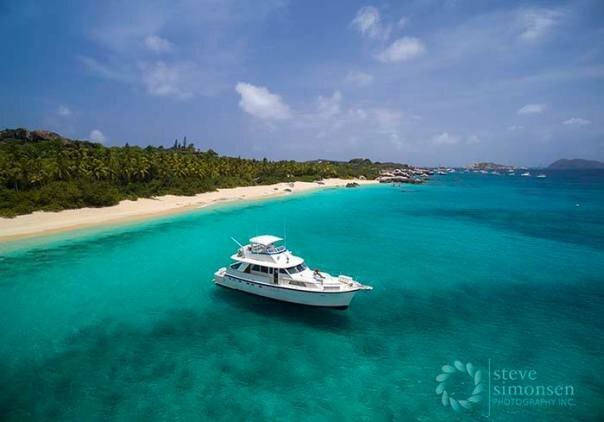 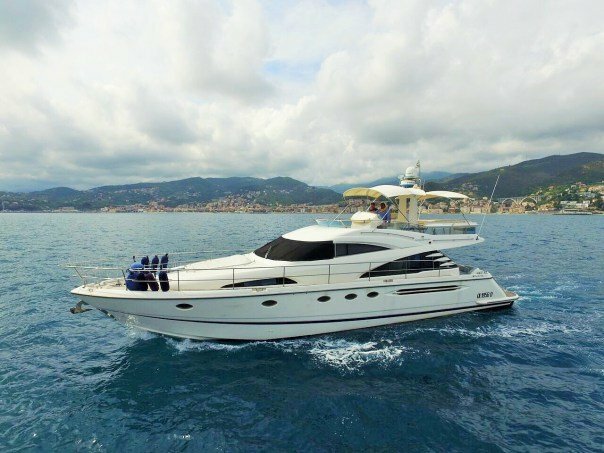 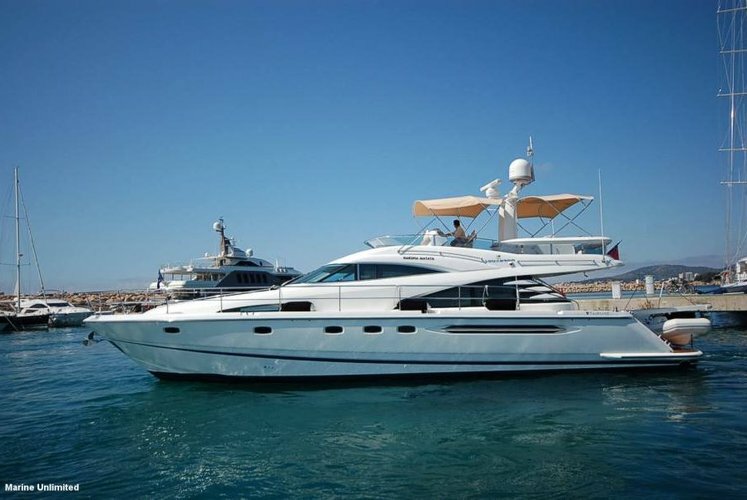 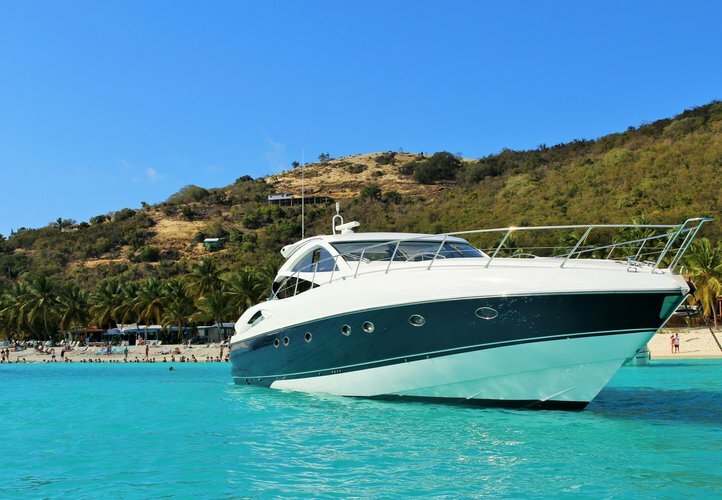 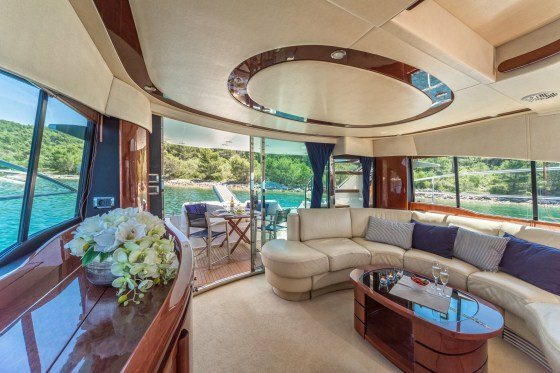 She includes a bar, electric grill, sunbathing area, and large swimming platform on board, as well as a Satellite TV and iPod docking system for evening entertainment. 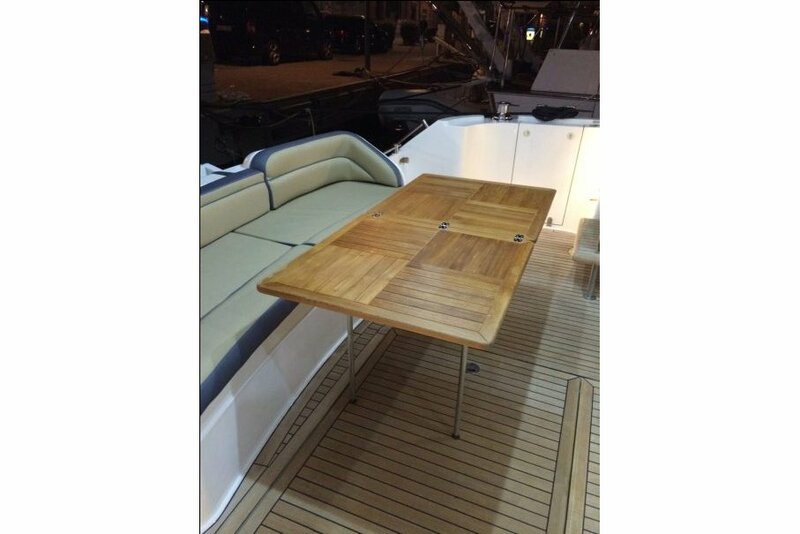 For extra costs, please see below. 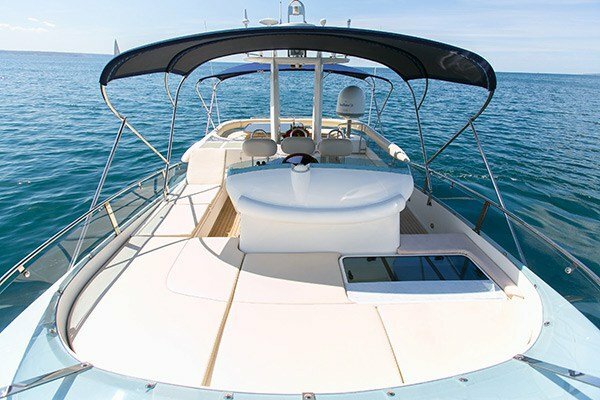 Week of Christmas, New Years and Spring Break carry a premium charge. 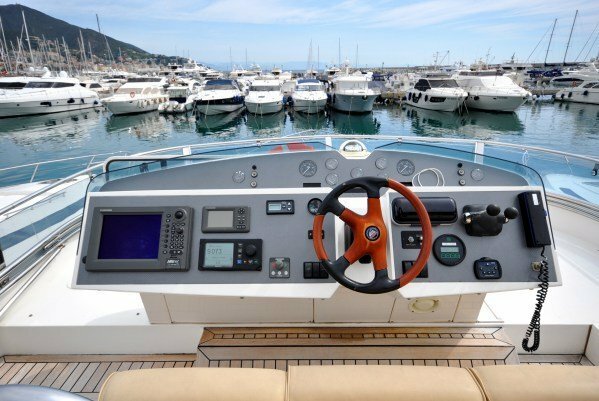 Rates are for bareboat only. 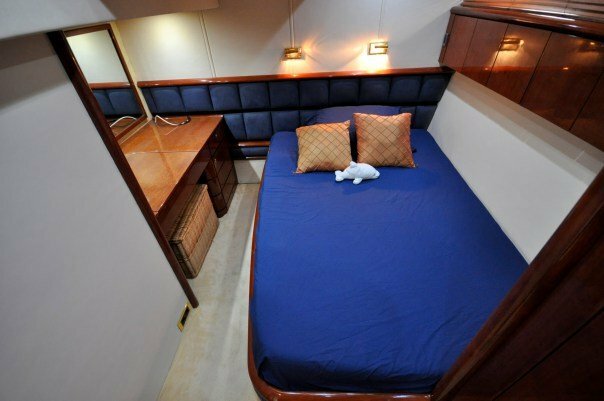 Please make sure that if you do wish to add a Captain or Chef, that you have a cabin to accommodate them.